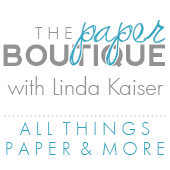 The Paper Boutique: Fab Five Friday Frugal Fun! Fab Five Friday Frugal Fun! Welcome to Fab Five Friday….Frugal style! Today’s theme is on saving money and upcycling and I have several Fab Five Friday Frugal items that I think you will enjoy. Also, I mixed it up a little this week and added a Thursday post. Be sure to scroll down to see my office companion post. I love my new bulletin board and so hope you do too! Let’s get started! What is more economical and fun than making your own earrings out of paper? These earring designed by Steph, from Crafting in the Rain are too cute! Be sure to check out her tutorial for all the details. You can make these using any type of cutting machine or using punches. I see Cricut earrings in my future! Speaking of Fab Five Friday Frugal Fun, check out the Fancy Frugal Life’s blog. Lina has so many beautiful upcycled items that you just have to see. Her daughter’s shabby chic glam room is remarkable! I discovered the blog, Fake it Frugal when I was looking for a recipe on how to make Windex. Heather also has recipes for making Febreeze, Clorox Clean-Up and Bisquick. Grab a cup of coffee or cocoa and enjoy her blog! I promise it will save your money! 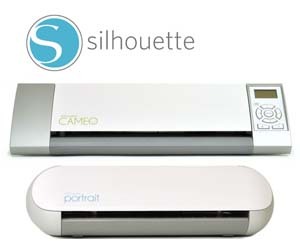 If you are looking for a new way to use your embossing folders, click here to see a video on embossed kisses. Beate has come up with another great idea to get more use out of your crafting supplies, thus saving you money!! Thanks to my sister, I have another cost saving tip. Click here to see how to make your own ink dabbers courtesy of The Happy Card Encouragement Factory. Wow! I am so going to ask my husband to help make these. Hint Hint! Thanks for stopping by and I hope you are having a fun filled Frugal Fab Friday! Love the earrings! Thanks for all the great "frugal" tips! Lina, you are so welcome! I love your blog! 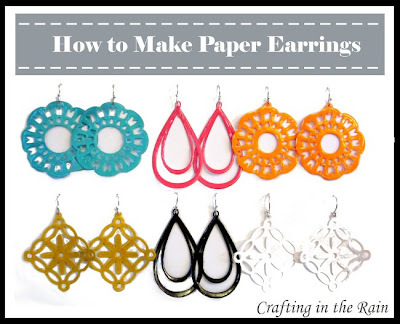 Paper earrings? Love it!! I gotta go check it out! Thanks for sharing--hope everyone has fun with them! You are so welcome Steph! Your earrings are adorable!